Another mixed week with news and event announcements in this post. Its also been a week of training and travelling, which always makes things interesting! 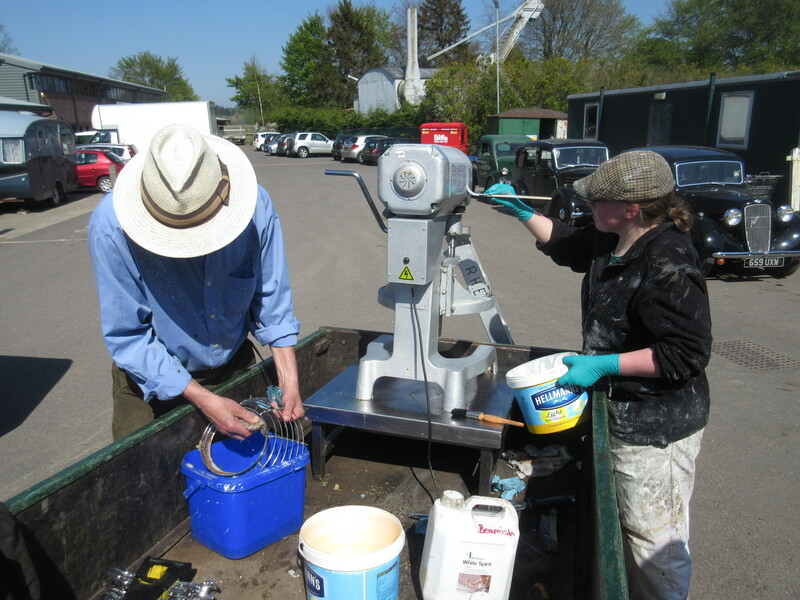 Below: Variety is the spice of life they say… A food mixer from the tea rooms required attention to its appearance and guard – Bob and Rebecca attended to the appearance, whilst Chris manufactured a new guard using parts recovered from a shopping trolley (!) that has lurked around the workshops for many years and recently found itself adapted by Alan as a mobile chassis for his toolbox. 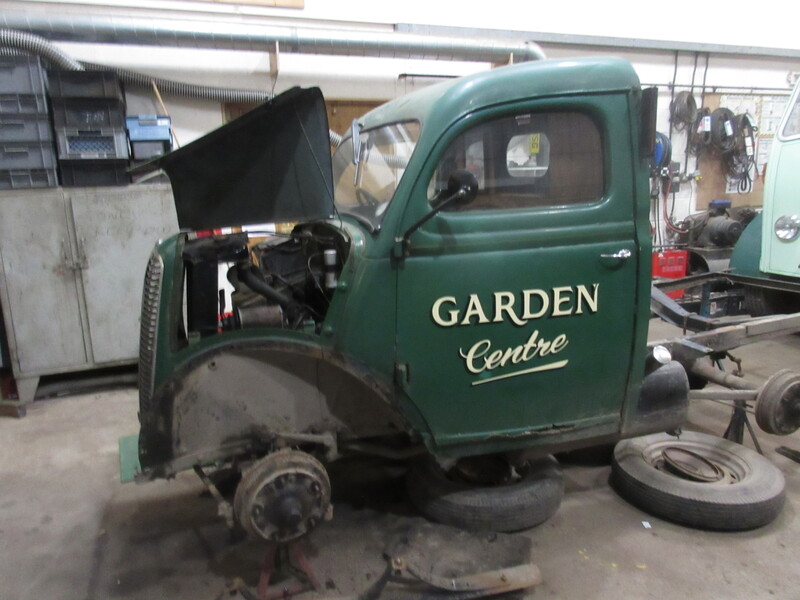 Below: In the vehicle shop the Fordson pick-up is being stripped for an overhaul. 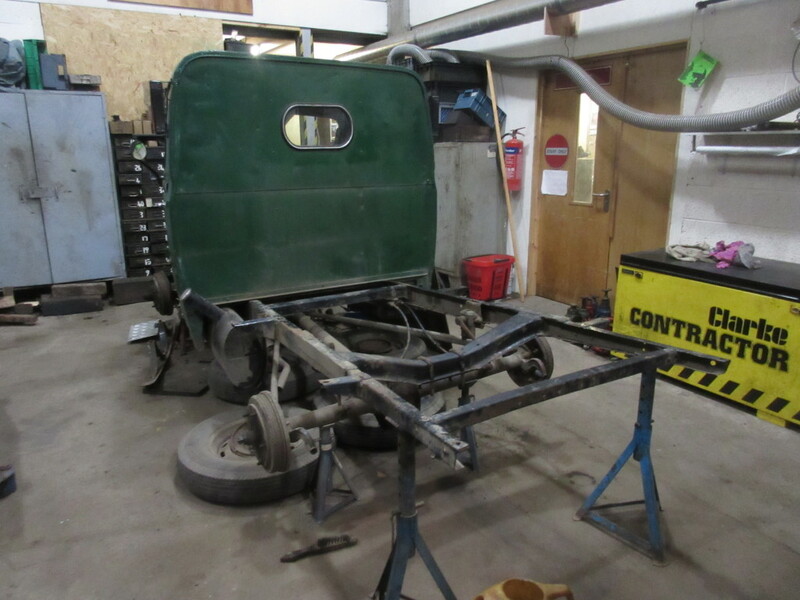 With the wings removed, the steering box has been overhauled and the rear tub is also off, to allow work on the chassis to take place more easily. 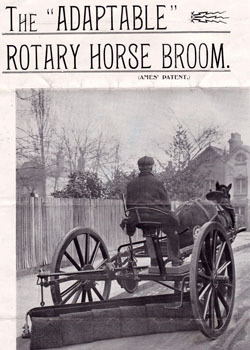 Below: This vehicle has always listed heavily to the left, and exploration revealed an old repair to the rear cross member had begun to fail. 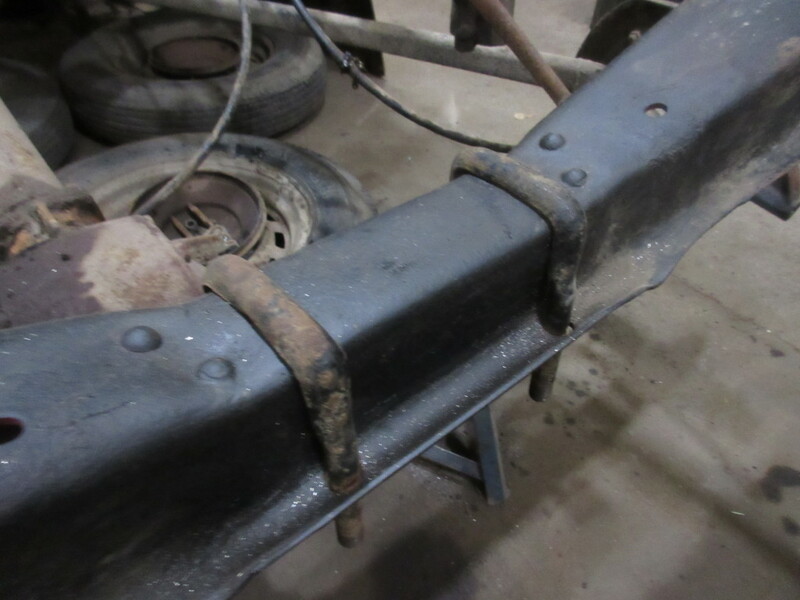 Chris manufactured a set of new parts and then welded these in, which will allow Alan to rebuild the back end around a level datum. The repair is invisible now that it is painted, but is the piece between the two shackle bolts in the centre of this view. 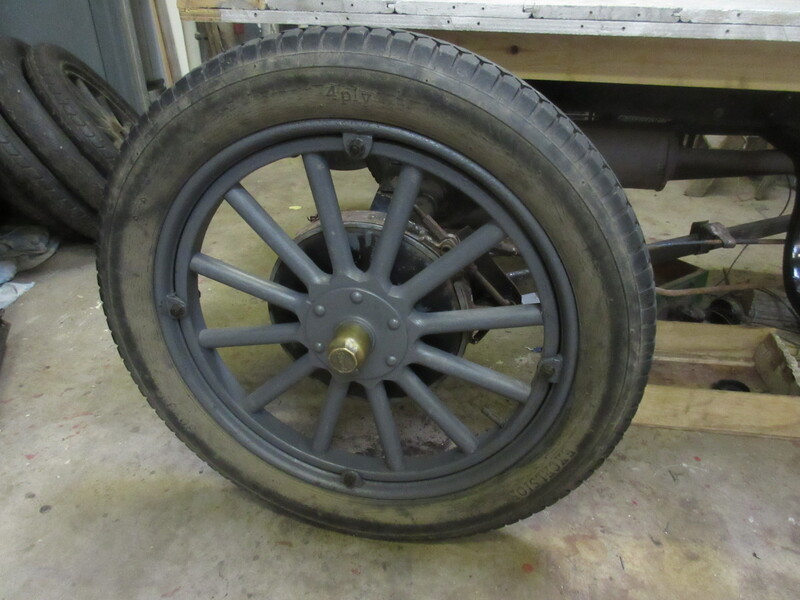 Below: The Wolseley has also been reassembled following repairs and a respray. A headlamp lens remains to be obtained, whence the ‘wink’ it currently offers! 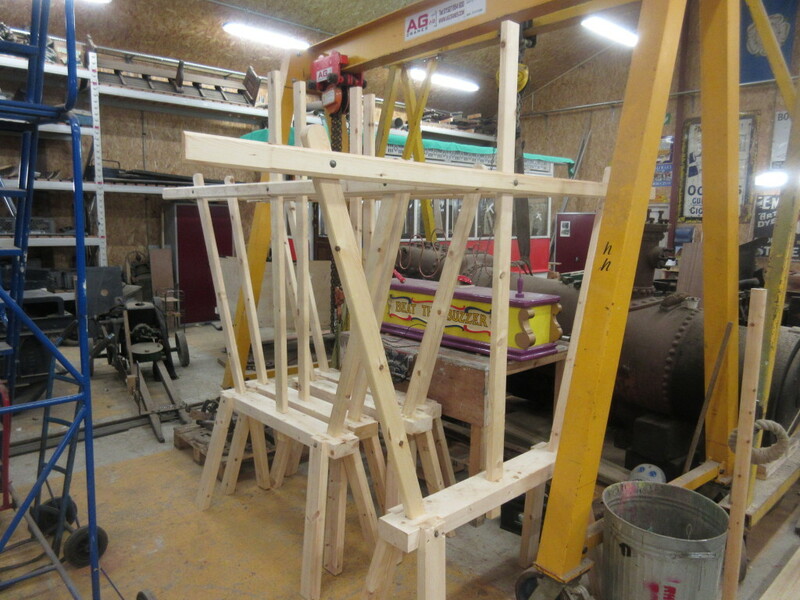 Below: The market stalls used at Christmas and for the Georgian Fair have been showing signs of age and years of repairs, such that when they arrived into the RHEC for further repair, Tony and Matt B decided it would be easier to build new ones and so obviate all of the many repairs at the same time. 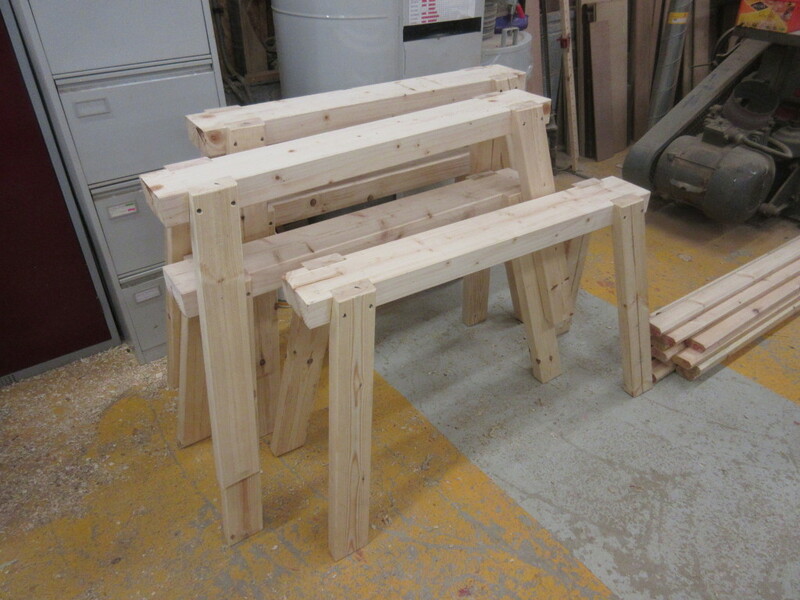 Here are the parts, awaiting painting and final assembly before they are needed out on site again. New canvas tops have also been ordered. 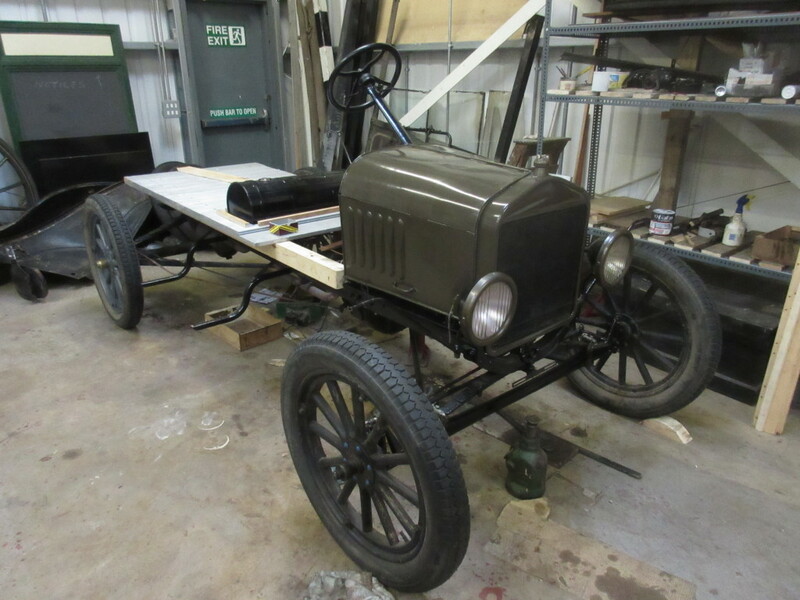 Below: John and Mike are on the home straight with the Crewe Tractor (Model T Ford) project. 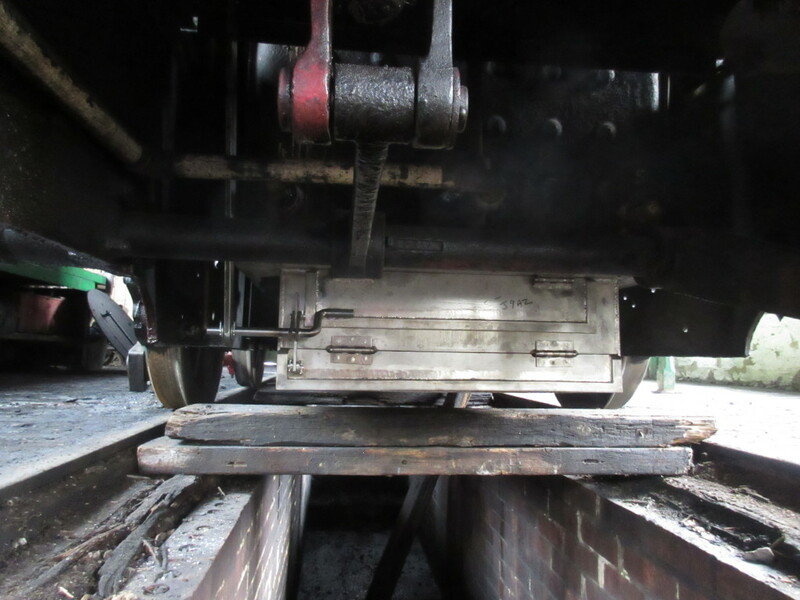 The deck has been test fitted following the heavy mechanical overhaul that the vehicle has enjoyed. 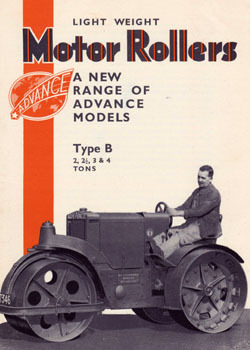 There are some variances with the original Crewe Tractors, largely due to this being a later US Model T, but one useful addition we will retain are the side mounted footboards – to aid boarding and dismounting. 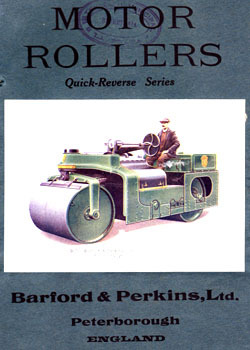 Below: All of the wheels have received attention, with one having new spokes fitted to eliminate a considerable amount of play caused by their looseness. 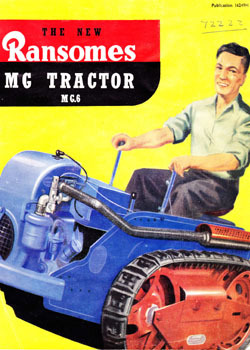 The running gear will all be finished in black whilst the body, seat and bonnet/radiator are in army green. Suitable lettering will also be added. Below: One area of Matt’s remit at present is to look at increasing the operation of the Colliery railways (standard and narrow gauges). 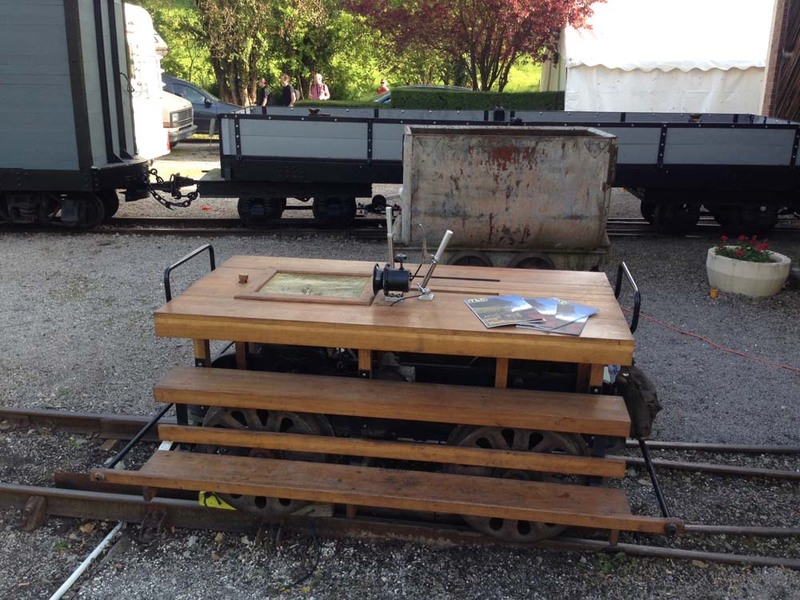 On the standard gauge we have concluded that No.1 (Coffee Pot) is not a suitable everyday locomotive (there only seem to be a handful of us who actually enjoy driving it! I love it I should add!). 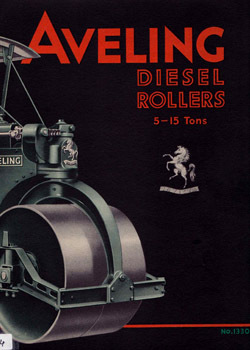 Therefore we have No.18 (Lewin) as the potential ‘regular’ motive power. 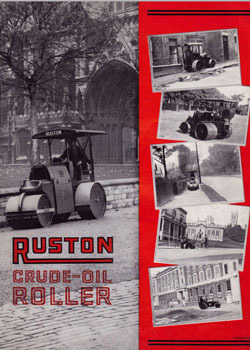 Over the last two years it has settled down very nicely, proving to be perfectly capable of what we ask of it and with the various fittings developing a ‘used’ shine to them. To improve its performance it has been fitted with a multi-jet blastpipe (see earlier posts) and in time will have new steam pipes in the front end to smooth out the passageways there. 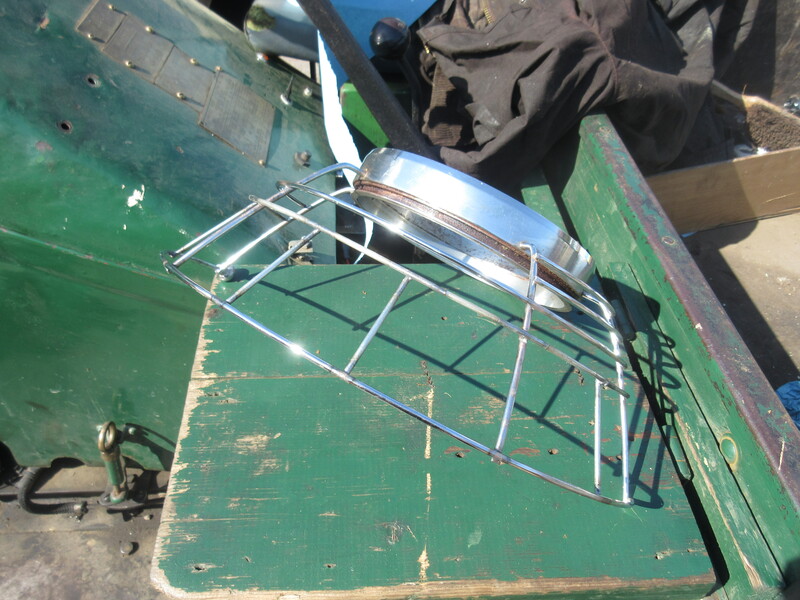 Its latest ‘mod’ is the fitting of a new ashpan, designed by Matt and manufactured (superbly) by Chris in the RHEC. This has now been fitted and it does seem a shame to have to get it dirty! 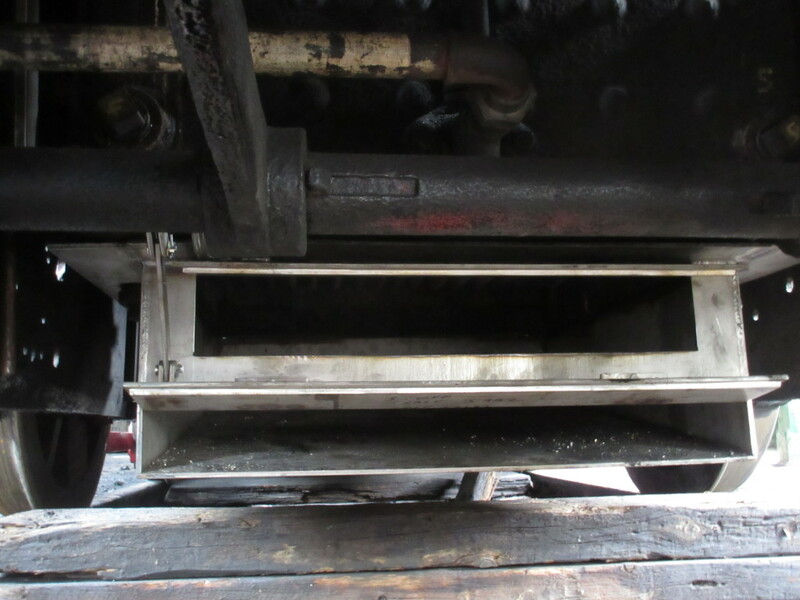 Below: The ashpan has two doors – the upper one to control airflow and which is fitted with two stages of opening as seen here. 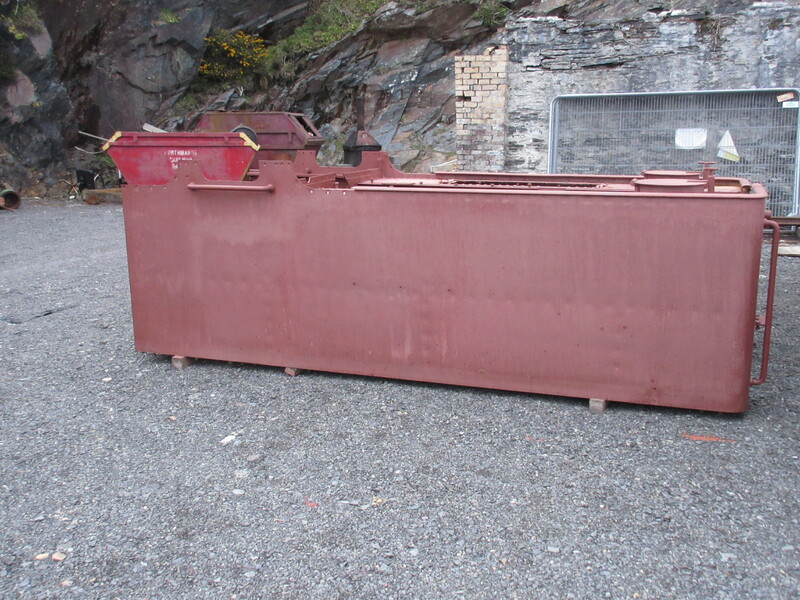 Below: The second, lower, door is to facilitate emptying and is used at the end of the day. 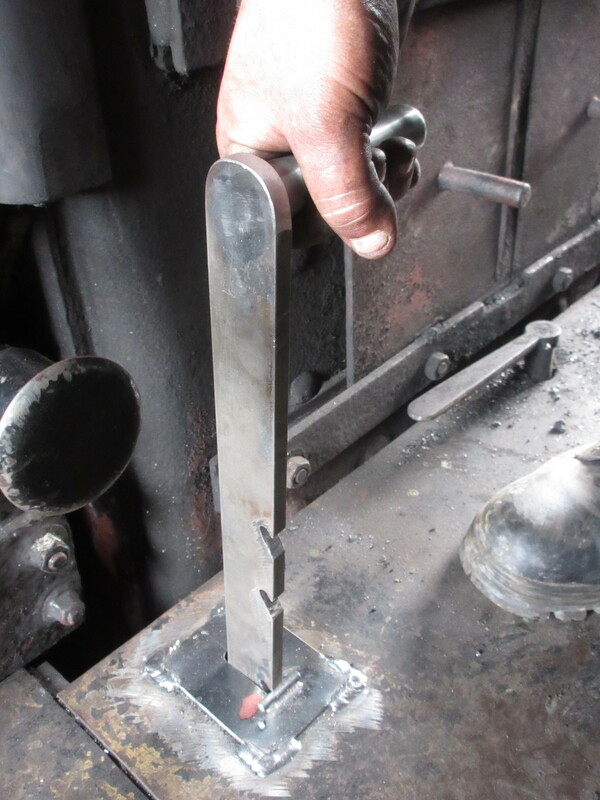 All three stages are controlled by one handle with some clever linkage enabling this to be achieved easily from the footplate. The stainless pan should last forever, and will dull down in colour. 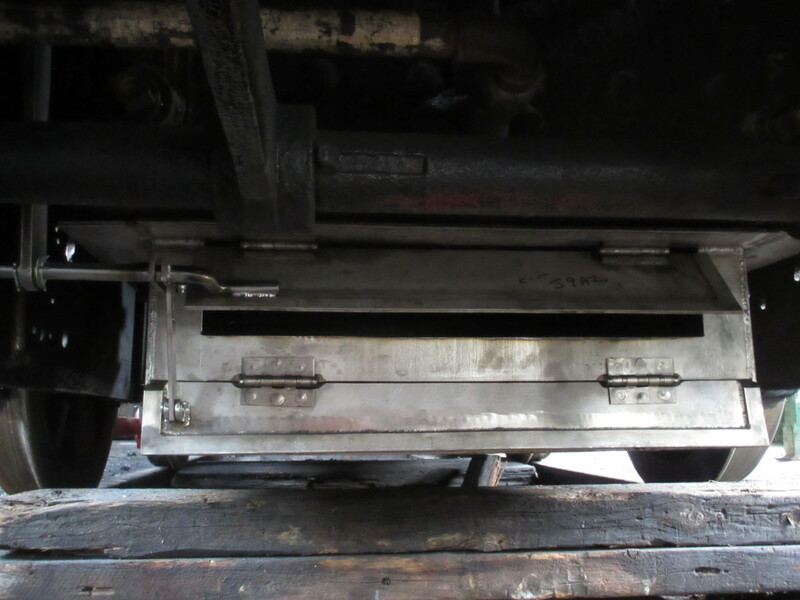 It will both give the fireman more control over the damper arrangements as well as aid disposal of the locomotive at the end of a working day. Below: The handle itself is a work of art! The three notches can clearly be seen, the lower one being the lower door whilst the upper two control the airflow. 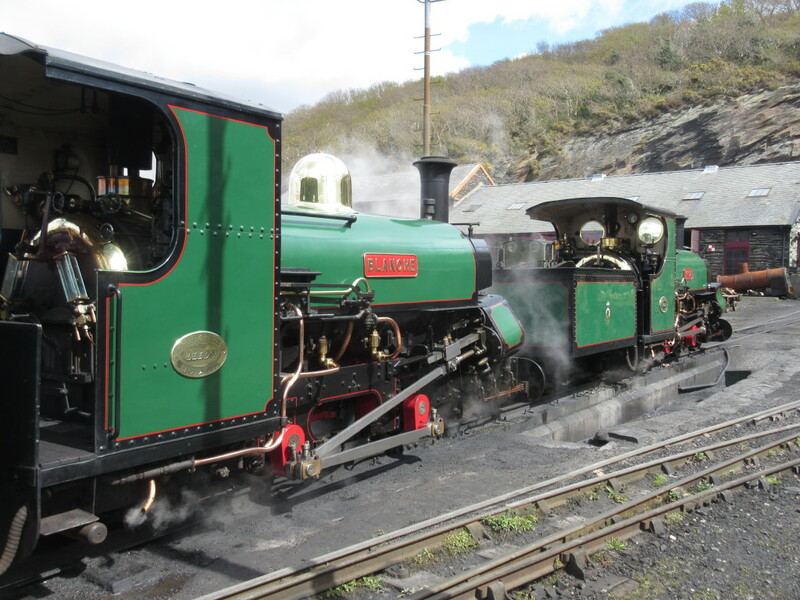 The original ashpan (made in Seaham) is being retained as part of the history of No.18, its continued use would have been in doubt given evident deterioration since we returned No.18 to steam. 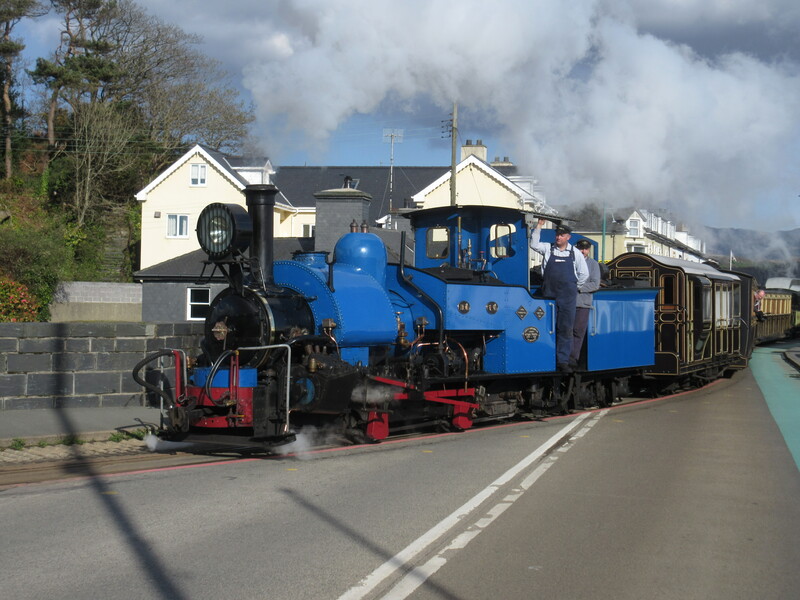 I mentioned in a previous post that there would be further narrow gauge visitors this season. We can now announce what they will be! 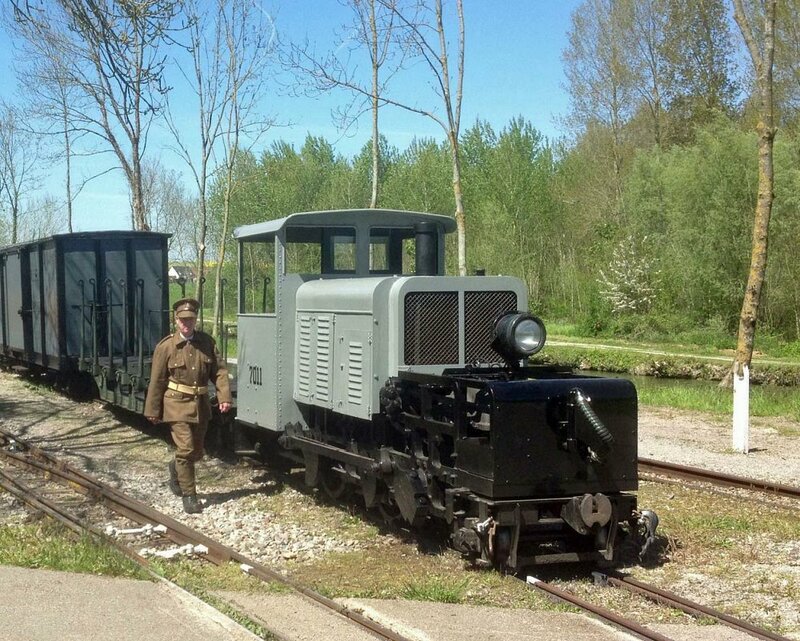 We have three locomotives plus a number of waggons, all of WW1 vintage and which will tie in with our June Power from the Past weekend of enhanced transport and also the July Somme commemorations – for more on the latter please see the main Museum website. 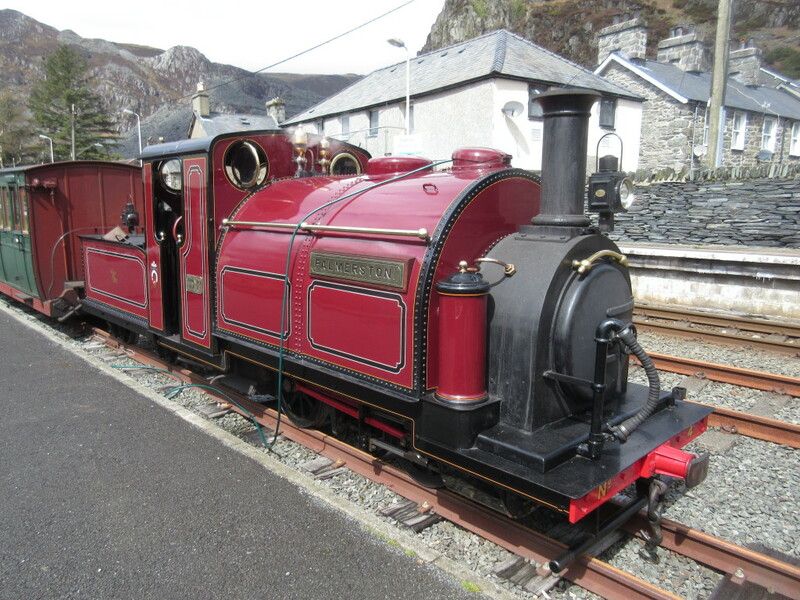 First up is 1918 Baldwin 2-4-0DM (formerly an 0-4-0PM) ‘Moelwyn’, which will be well known to visitors to the Ffestiniog Railway in Wales, having been resident there since 1925, though rebuilt to incorporate a diesel engine and pony truck in 1956/57. 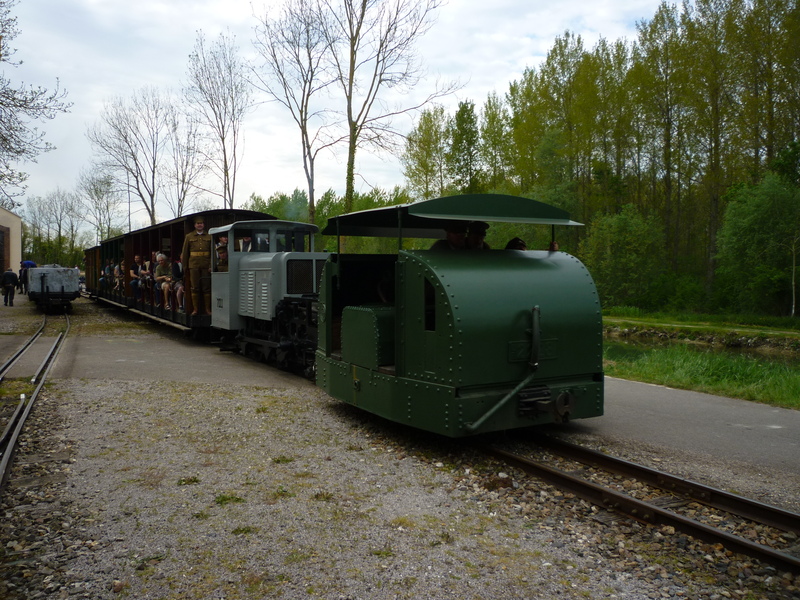 It has recently been repainted into grey and black livery to reflect its origins with the French Government Artillery Railways. 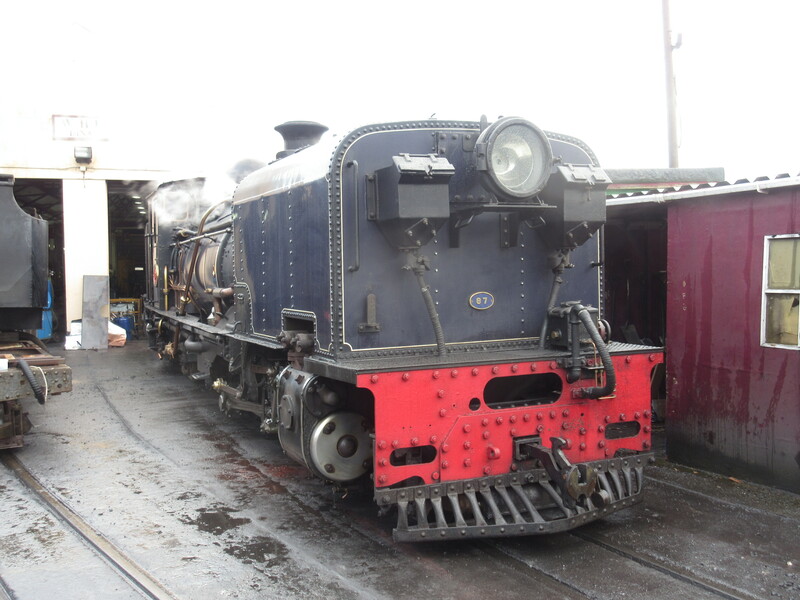 Incidentally, a similar locomotive (converted to standard gauge) has just been repatriated by the Moseley Railway Trust for eventual restoration and operation at Apedale – see their website for more on this amazing story. 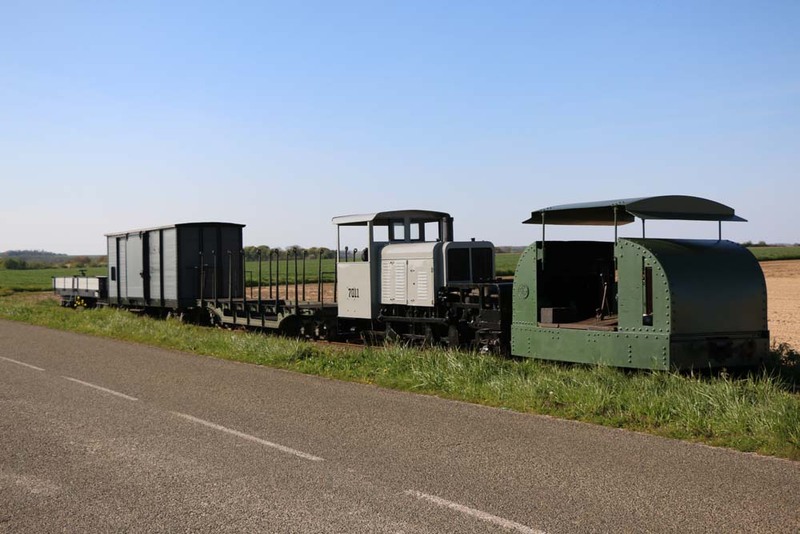 Next we have Mary Ann, a 1917 ‘Simplex’ (Motor Rail and Tramcar Company) of the ‘open’ type (minimal armour plating) and which was supplied for use on the War Department Light Railways in France. 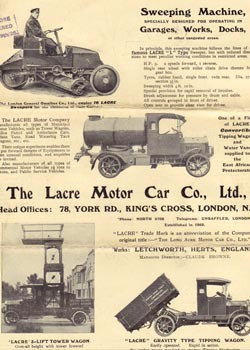 It was later sold via the Kent Construction Company (who re-processed many WW1 surplus locomotives, many of which had never actually left the Purfleet store in the UK) in 1923, the buyer being the Ffestiniog Railway who were looking for the economy of internal combustion motive power. 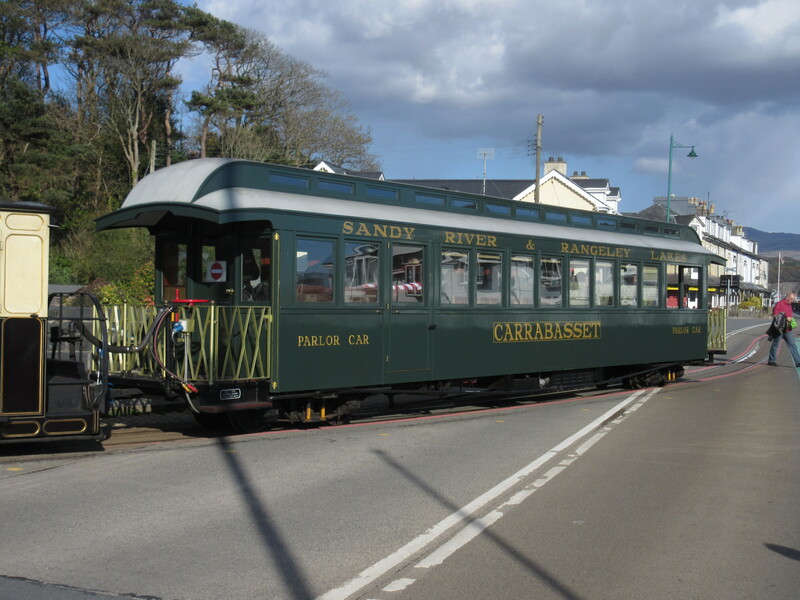 It hauled the first passenger trains on the revived FR in 1955 and was also used on many of the pioneering exploratory trips along the FR, including along the now-flooded section of line later replaced by the deviation route. 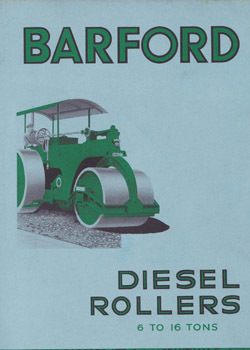 In 1960 a diesel engine was fitted, though the original was overhauled and reinstalled in 2004. 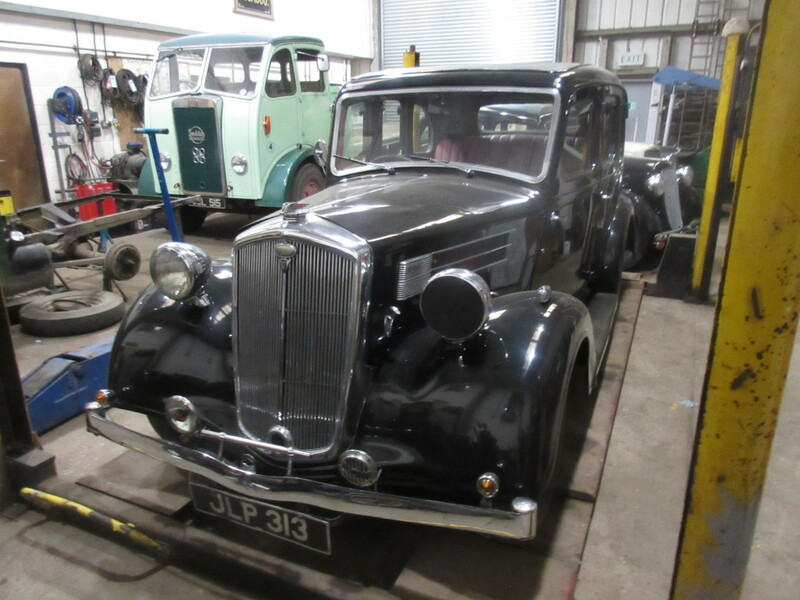 It has also received recent cosmetic attention including the fitting of the roof, to original specification. The third visitor, which is part of the same load from Apedale to Beamish (a long way round to Wales from Stoke!) is Busta. 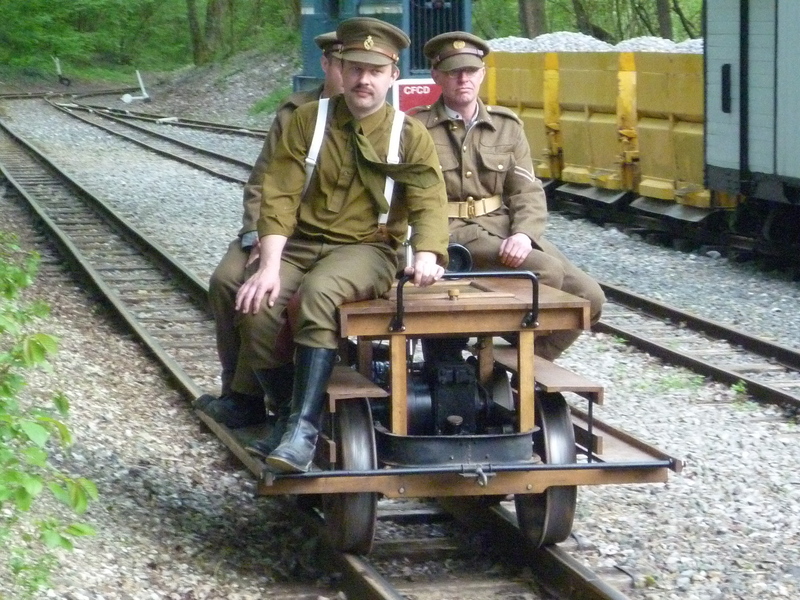 Built in 1916 as an inspection car for use behind the trenches, it was acquired for similar use (sans trenches!) 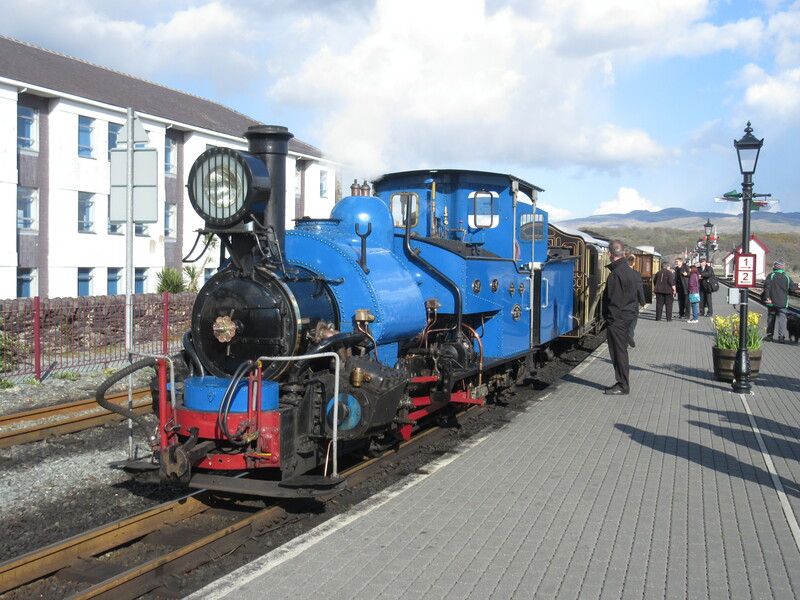 on the Ffestiniog Railway during the Col Stephens era. 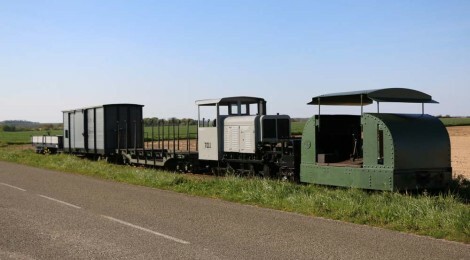 It has been comprehensively restored to original condition and so can demonstrate why it achieved a certain notoriety on the FR (as all similar units must have) – a potential speed record holder for the Beamish narrow gauge line! 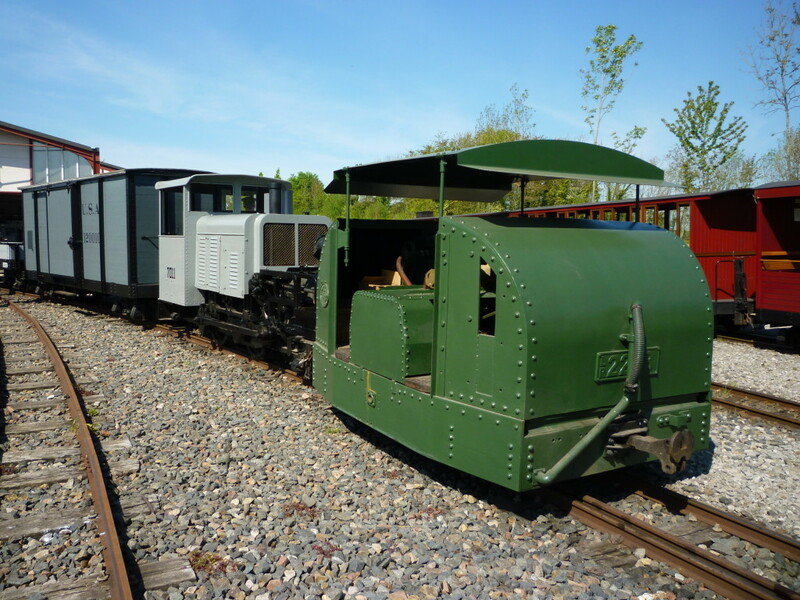 In addition to these waggons, which will be short-term visitors, we have a longer stay of a US WW1 bogie waggon, which will remain with us until next year in return for some mechanical work to complete its restoration – it will sit very nicely with Moelwyn. 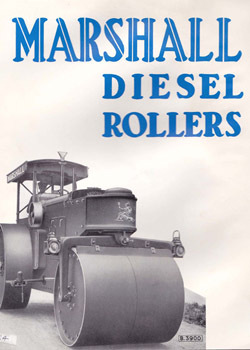 As ever we are extremely grateful to our friends at the Ffestiniog & Welsh Highland Railway and Moseley Railway Trust – we hope that over the next few years we will be able to reciprocate with visiting stock and exhibits from the Beamish collection… Watch this space! 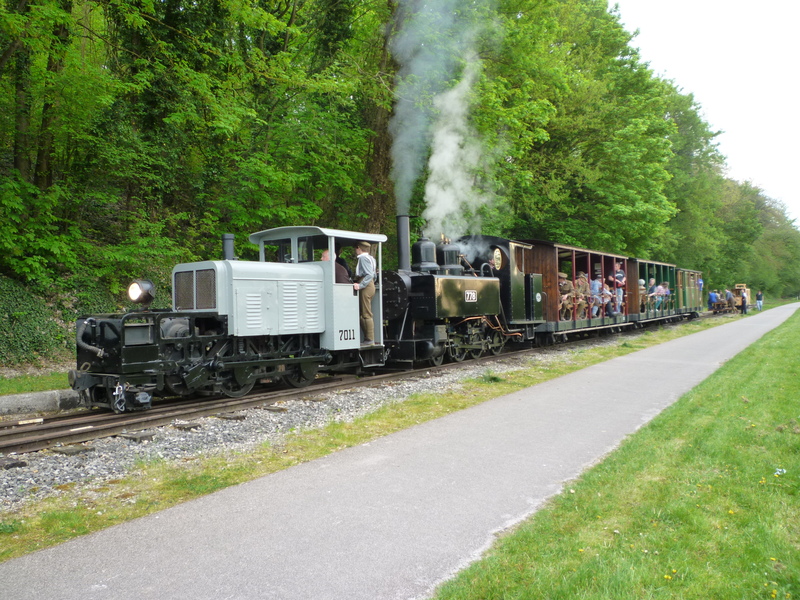 Below: These images, courtesy of the FRS website, show the F&WHR trio in France. 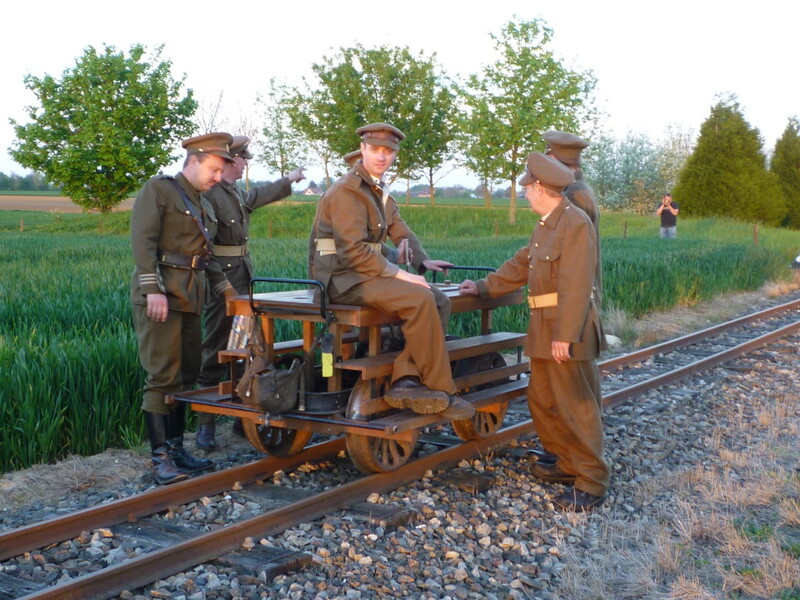 Their next stop is the Tracks to the Trenches event at the Apedale Valley Railway next weekend (13 – 15th May) before they move to Beamish. In recent posts Jonathan revealed how sometimes we have the odd day off, usually used to visit other not dissimilar attractions or heritage sites! 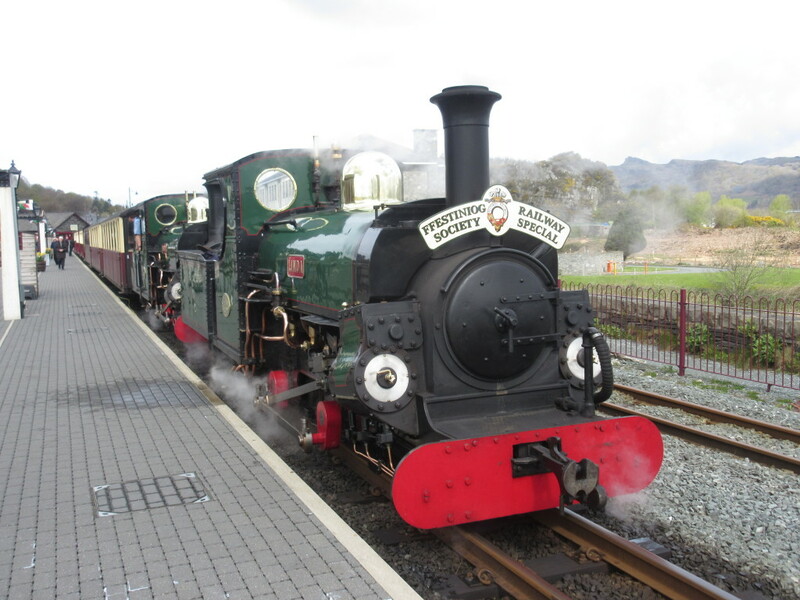 Whilst he was at Claymills, I headed to Wales and the Ffestiniog and Welsh Highland Railways, where Matt was firing on the former and so suggested it would make a good weekend break! Another friend, Paul, was on the Welsh Highland Railway at the same time, so a day was spent on each, making for a superb weekend and my thanks to everyone who made it such a good weekend. Having a pub at your railway HQ has got to be a good thing! 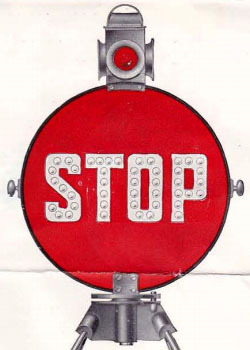 After the weekend, another location was visited to inspect an item that is coming to Beamish for display and will tick a box that has been in the collecting policy for a long time now – more will be revealed but I think it will be a popular homecoming… No more clues! 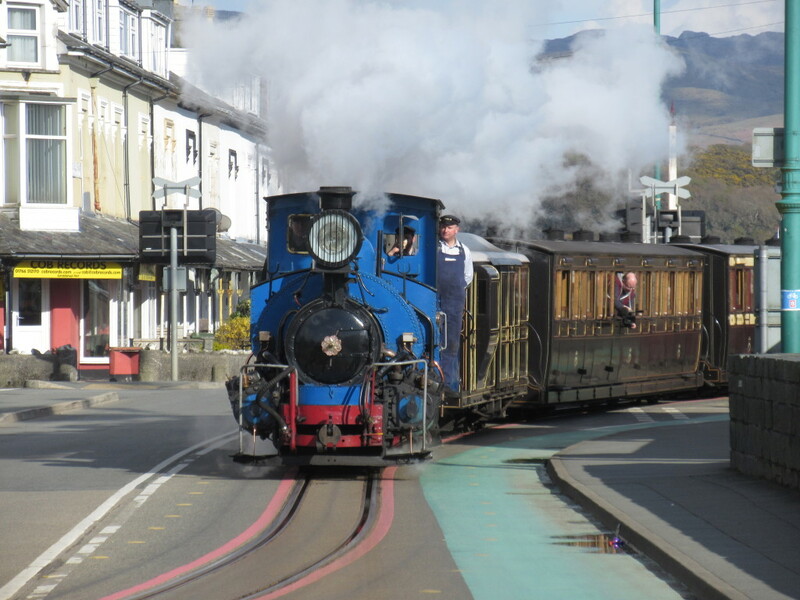 Here are a selection of views, starting with the Darjeeling B Class on the vintage train heading away from Porthmadog and onto the Welsh Highland Railway, then Linda/Blanche on the FRS special over the Ffestiniog route and finally Garratt No.87 on the Welsh Highland Railway. 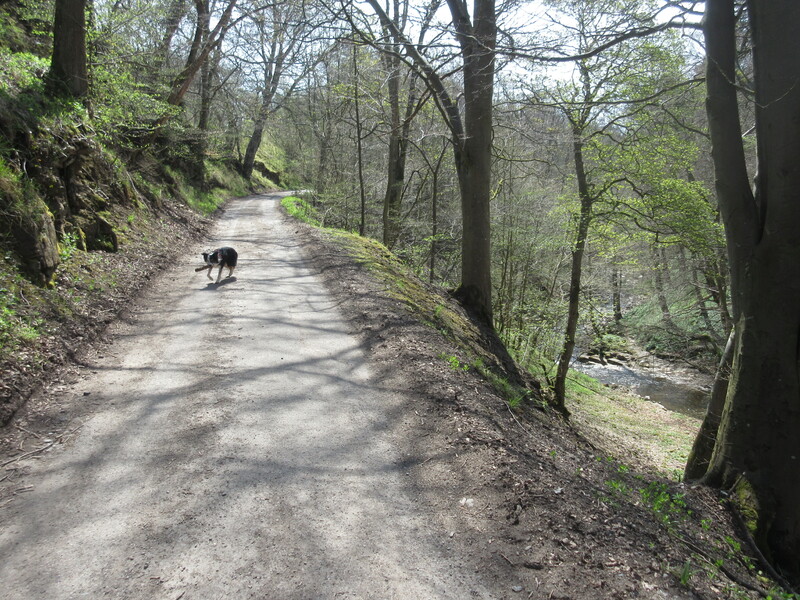 Below: Retaining a narrow gauge theme, a sunny Sunday saw Sam (my dog) and I exploring the tramway route at Stanhopeburn in Weardale. Gathering images for the forthcoming book on Samson, which also examines other local locomotive hauled narrow gauge tramways, this route is almost entirely intact. 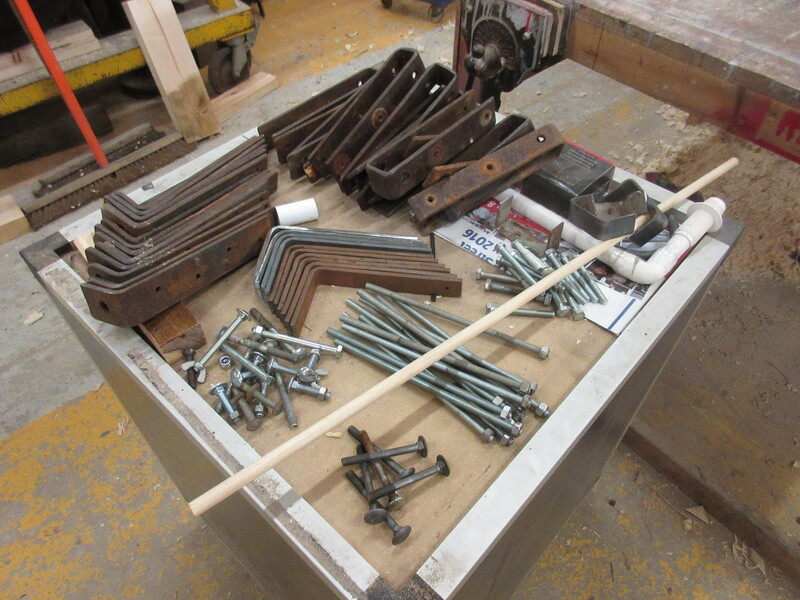 It was built as a standard gauge line, later narrowing to 2 ft. 6 in. gauge. Later still, the upper end of the route was used into the 1980s for fluorspar extraction (using battery locomotives). It remains a popular walking route, being adjacent to a number of caravan parks in the area. 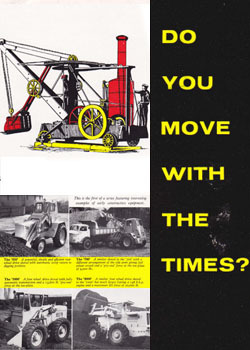 It really does cry out for a railway once again though! 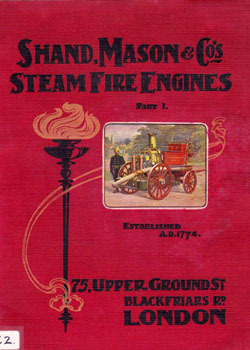 Below: As part of the same walk, the Stanhope & Tyne route can also be taken in, ascending the incline at Crawleyside to the summit at Weatherhill (the winding engine from this location now being on display at the National Railway Museum in York) and beyond to Parkhead (a popular tourist spot). This route is stunning – in the warm sunshine! There are still many historical features to examine and this is also the area from which the stone-clad water column now at the Beamish waggonway originated. 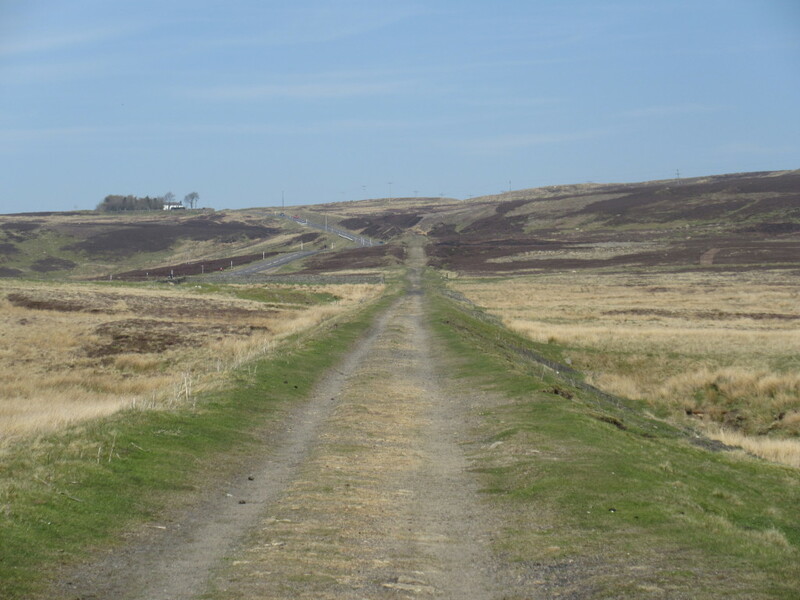 A circular walk taking in the Stanhopeburn route and the S&T is easily possible within the space of a few hours, allowing time to head west to explore the narrow gauge routes at Boltsburn (Little Nut ran here) or Wolfcleugh (operated by Little Sally – both products of Hawthorns in Gateshead), then east to Bollihope and the Cornish Hush Tramway where Samson made its mark (or not, as the case seems to be!). All three tramways have been covered in the book, which should be at the printers in the next few weeks and I will announce more details of as soon as I can. Hi Paul , I don’t know if it’s within your remit , but the Gun in the Town Park is looking a bit jaded and could do with a lick of paint in time for the July Somme Commemorations . Looking forward to the mystery item !, sounds interesting.